The public sector, especially in developing countries, is encountering several problems in general and is crippled by the lack of government intervention; hence a grown awareness about the role of the public sector in gaining capacity to innovate, as innovation is a dynamic and iterative process, which includes the implementation of new ideas or approaches. In view of the challenging context, this paper assesses the needs in terms of research namely in the field of innovation in the public sector in Lebanon, especially in the Ministry of Environment; it examines the existing literature and theory regarding innovation while focusing on the new public management, the new era government, ICT and innovation theories. 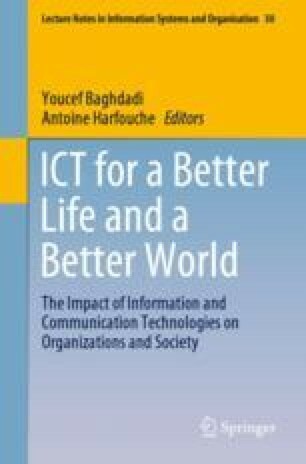 Using a qualitative approach, this paper reveals the actions currently undertaken by the Lebanese Government to innovate in public services using ICT which can set the scene for a better public sector performance.